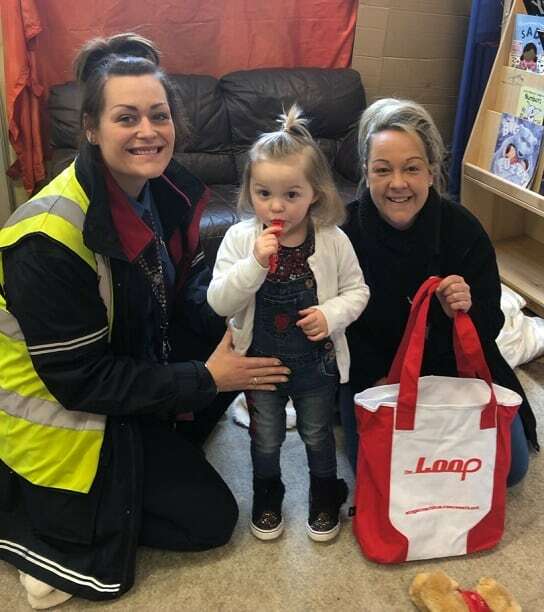 Stagecoach supermum Holly Newman (left) with daughter Evie (centre) and Sam from Playwise nursery. 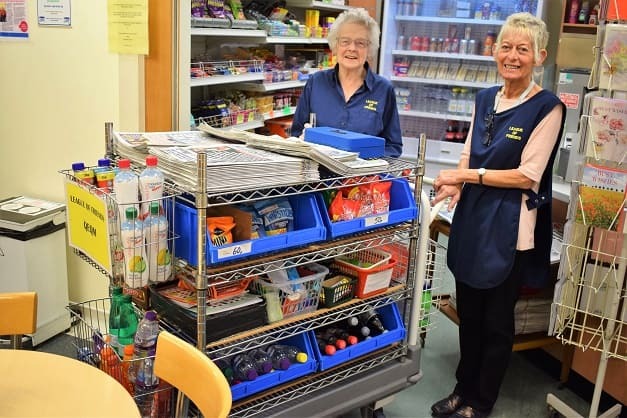 The League of Friends of the QEQM Hospital is making an urgent appeal for volunteers to work in their shop/tea bar and/or ward trolley service at the hospital. Training is given and it’s an excellent chance to meet people and contribute to this service, which is very highly valued by the patients, visitors and staff at the hospital. What’s more the profits made go into the charity’s coffers and so are used to pay for medical equipment and amenities to benefit the hospital. Volunteers are needed on a regular weekly basis between Monday and Friday. Anyone interested should please contact Marie on (01843) 601725 for more information. Our first RNLI Fundraisers Meeting of 2019 was rather different as we had a meal together at the Racing Greyhound to celebrate our efforts in raising over £26,000 for RNLI Ramsgate Lifeboat in 2018. It was fantastic to see so many RNLI Ramsgate & Broadstairs fundraisers, RNLI Ramsgate shop and RNLI Broadstairs kiosk volunteers celebrating together. We were also very pleased to have Tatti McNally, RNLI visitor experience manager, South East joining us for the meal. Sincere thanks to all at the Racing Greyhound for hosting the meal and for the very much enjoyed food nd service. Thanks also to Ron for organising it all for us so efficiently. 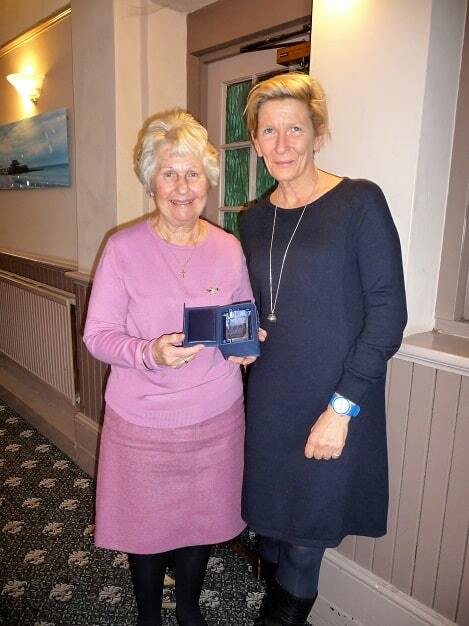 At the end of the meal Tatti expressed her appreciation of the fundraisers, shop and kiosk efforts and she then went on to present an award to Jean Hefford in recognition of her outstanding work as souvenir secretary at the RNLI Broadstairs kiosk. Jean said the award was for all the kiosk volunteers and thanked everybody who had volunteered and everybody who had supported it during 2018. Residents in Westgate will be offered CPR and defibrillator use training thanks to the town council. The training has already been undertaken by six Westgate town councillors, town clerks and district councillor Sam Bambridge. 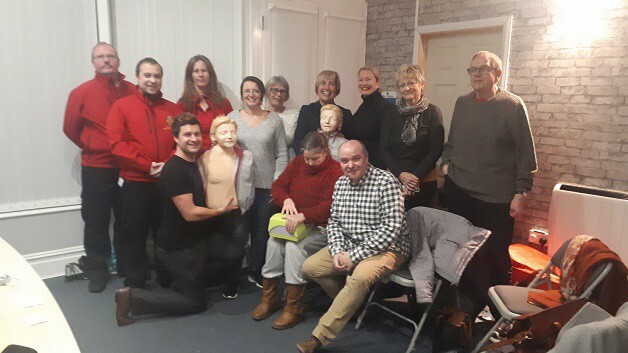 It was carried out by community first responders who demonstrated how easy it is to treat someone who has had a cardiac arrest or whose heart has stopped, using CPR or a defibrillator. A new defibrillator is to be added to Westgate thanks to the town council. There are many defibrillators available in public places in Westgate on Sea such as Westgate Surgery, My Dentist, Co-op and the Fire station. Community First Responders are volunteers who are trained to respond to emergency calls in conjunction with SECAMB. As they respond in the local areas where they live and work they are able to attend the scene of an emergency within a few minutes, and often before the emergency service arrives. They are able to offer life-saving first aid further increasing the patient’s chances of survival. Training sessions for residents will be running in February. People can e-mail their contact details to admin@westgateonsea.gov.uk to reserve a place. Children at Drapers Mills Primary were treated to a spectacular performance of Cinderella by M&M Theatrical Productions. Pupils from nursery through to Year 6 experienced the magic of theatre; delighting in the fun, colourful costumes, magical special effects and electric atmosphere to transport them into the enchanting World of Pantomime. 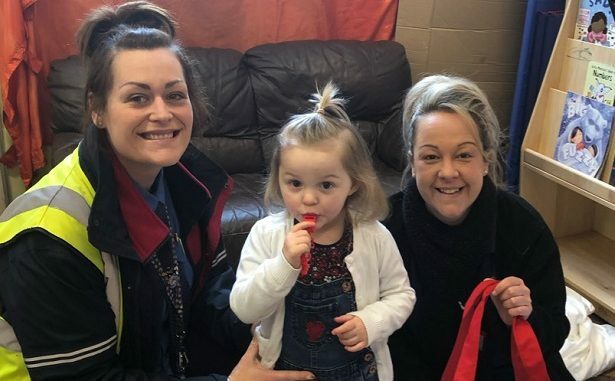 A bus driver from Thanet has had her hands full this week, driving buses, being a mum and entertaining a class of toddlers at the local nursery school. Supermum Holly Newman has worked for Stagecoach at its Thanet depot for four years. Her daughter Evie attends the nursery in Ramsgate while her mum is out driving buses on the local Thanet ‘Loop’ bus route. “They asked if I would come in and tell the kids about my job, sing some songs and help inspire their art project” said Holly. “They loved the little Stagecoach gifts I brought along but were disappointed that I couldn’t have my bus with me! The nursery are making some art from left over Christmas timetables which Holly supplied. 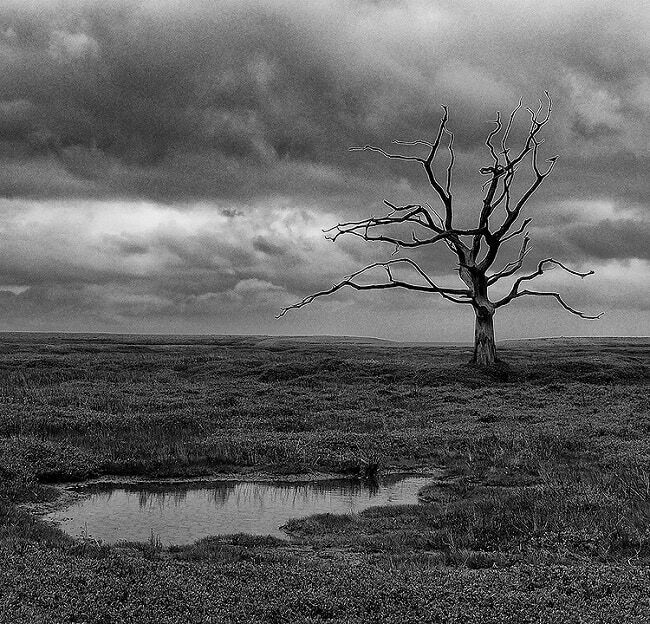 Thanet’s Camera Club members have been out and about over the New Year ready for our forthcoming print and digital image competitions. Our first guest speaker of 2019, whom we were privileged and thrilled to welcome to Thanet, was Antony Penrose, British Photographer and son of Roland Penrose and Lee Miller. Antony gave a fascinating account of his life and the work of his parents, especially their friendship with Pablo Picasso, showing some of their photographs and paintings, including images taken by Lee during the Second World War when she was allowed at the Front by the US Army. This was a very rare event at the time for a female photographer. The Club is very encouraged by the number of new members joining us and we look forward to welcoming more this year. Independent Vindicatrix of East Kent Association. We held our first meeting of 2019 at our usual venue, the “Racing Greyhound” in Ramsgate on Thursday, January 17, with a better than average attendance. Condolences were given to those members and supporters who have sadly lost loved ones in the latter part of 2018. It was reported that we had received numerous Christmas cards and good wishes from many other associations in the U.K. and overseas. We welcomed the re-joining of two lapsed members at the meeting. Our Standard Bearer explained why he has had to stand down for a while due to arthritis and it is hoped another can take over for the summer period. Mention was made over our coach requirements for the annual Merchant Navy Day parade at Tower Hill in London and that we should get other quotes. This year it will be on September 8. Reports were given on our attendance in 2018 at various events such as the “Festival of Remembrance” in Margate, the various Merchant Navy Day events held throughout Thanet and “Remembrance Day” in Ramsgate. Members will be attending the “Channel Dash Commemoration” in Ramsgate on February 12. Mention was made of the 4 day coach break some members had to Blackpool in late 2018. Health reports were given on two members and agreed “Get Well” cards should be sent by us to them. Our next meeting will be our AGM on April 4. TOFFs are holding an information session and discussion on the subject of living with dementia. The event on January 24 from 10.30am to 12.30pm will be held at Trinity Resource Centre in St Mary’s Avenue, Margate. The guest speakers will be Admiral Nurse Jade Garlick and mental health nursing lecturer Niall McLaughlin. There will also be information from East Kent Independent Dementia Support, Carers Support and entertainment from the Seaside Singers.